Cerro, La Paloma is a small seaside resort town in Montevideo. 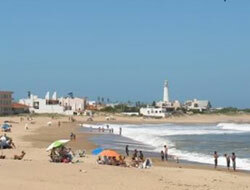 It is characterized by private secondary residences and a number of hotels near the beaches. Because of the recent Uruguayan economic crisis, many of the residences are for sale at affordable prices.